Ever since the sequel to To All The Boys I’ve Loved Before was announced back in January, there’s been one major question hanging in the air: Who will play Lara Jean’s second love interest, John Ambrose McClaren? Jordan Burtchett had a non-speaking cameo as John Ambrose in the first movie, but the sequel announcement made is pretty obvious that he wasn’t going to be back as it features Lana Condor “on the phone with another actor” who’s just told her he’d be playing the character. Now, the new John Ambrose has been revealed with Lana’s help. Check out the video below! 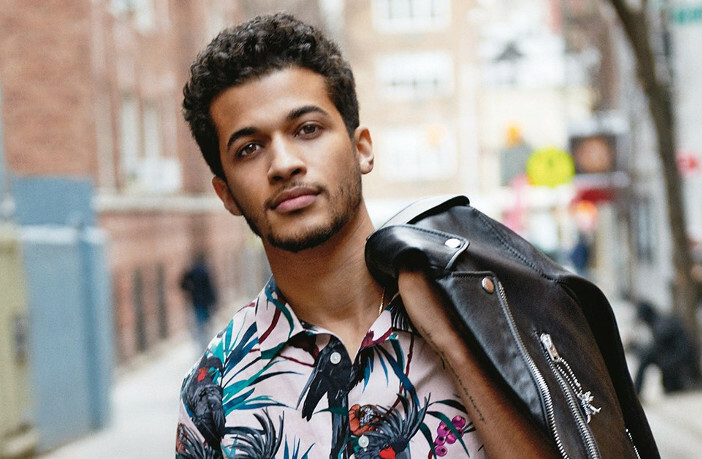 That’s right: Actor/singer Jordan Fisher is set to take over the role! Fisher grew his acting roots on tween television shows like ABC Family’s The Secret Life of the American Teenager and Disney’s Liv and Maddie, so he’s a major star among teen audiences. He’s also starred in a number of TV movies and two live musicals, Grease and Rent. Yup, he’s the one who broke his foot during rehearsals for Rent Live, but he’s still got moves– He won Dancing With The Stars Season 25. We love Noah Centineo, but it looks like Peter Kavinsky just got some serious competition! The sequel for To All The Boys I’ve Loved Before (which is not officially called P.S. I Still Love You yet, despite that being the book’s title) is filming now.